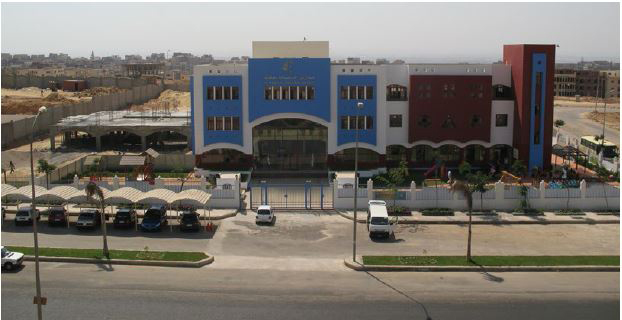 Al Resala language school, a k-12 educational corporation on an area of 7200 m² located in El-Obour city (suburban of Cairo city) with (800) student. 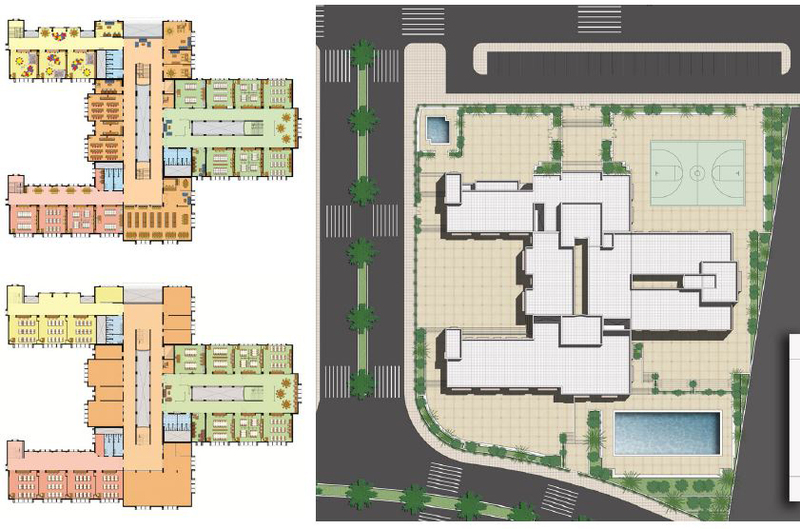 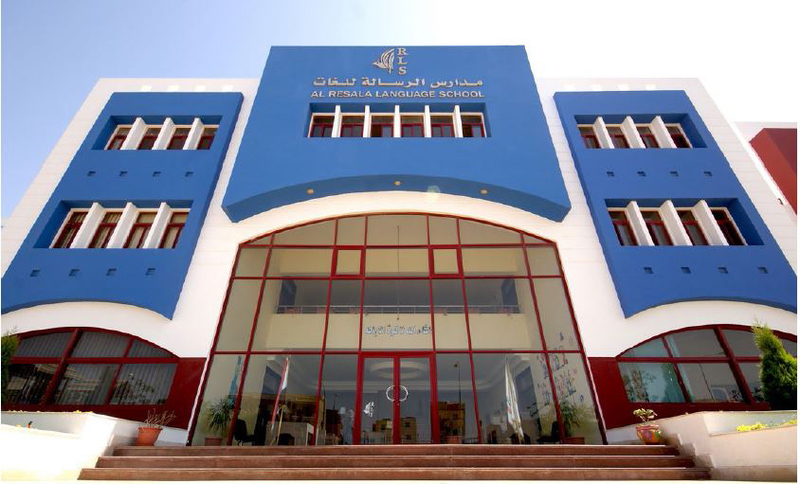 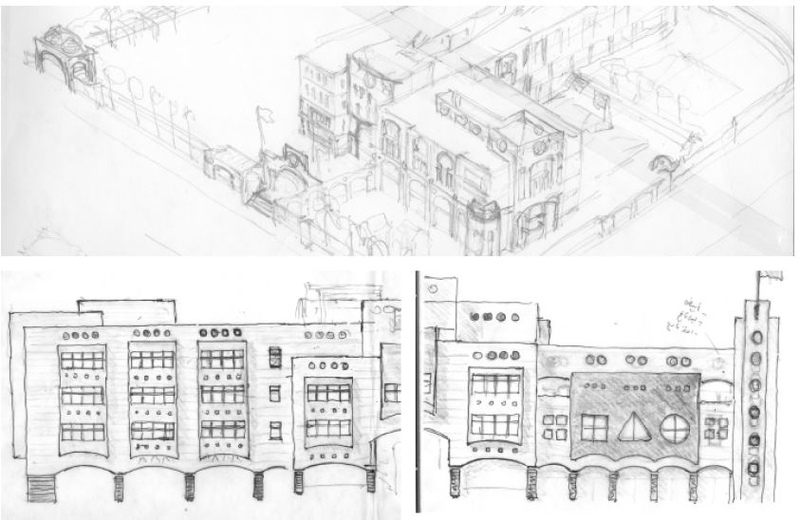 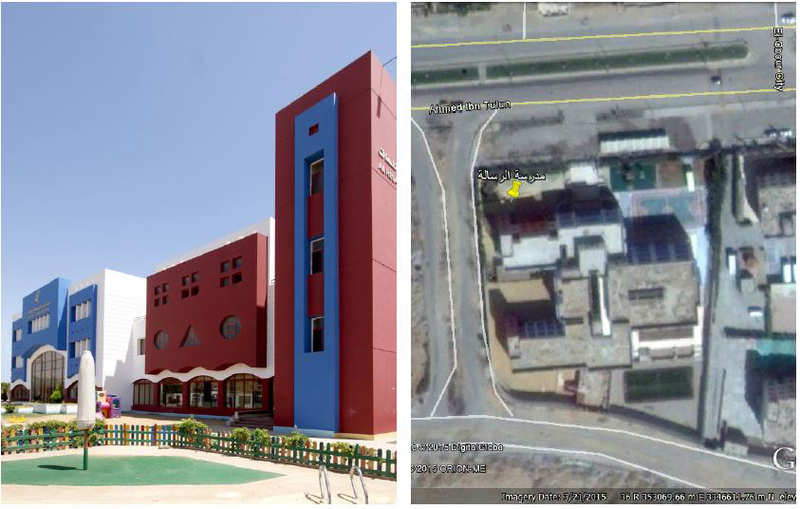 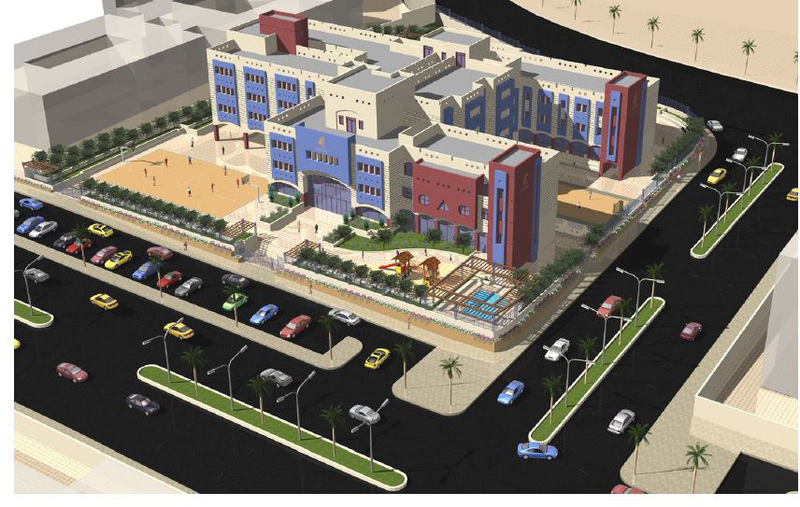 Launched in 2008 Al-Resala represents a new vision of school design. 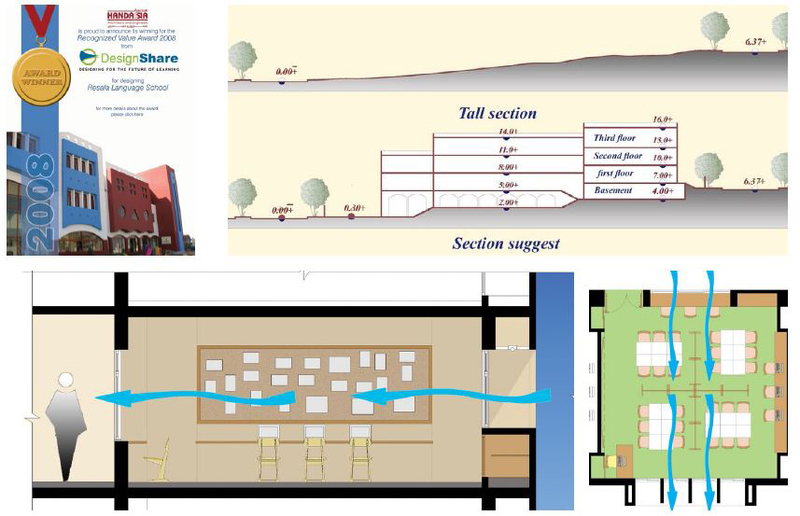 A unique design that encourage students› creativity to bloom. 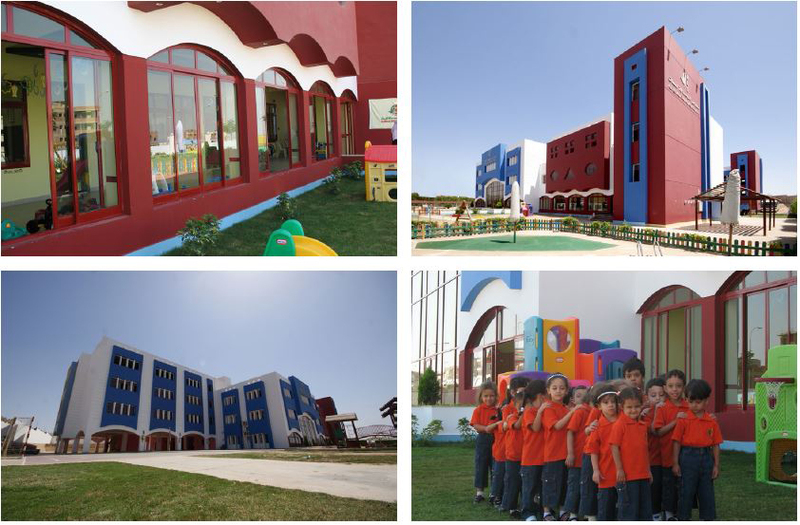 Using explicit colors, strong masses and new forms which are more familiar with child›s mentality were the principal features of the design.The facades forms and colors had their own aesthetics. 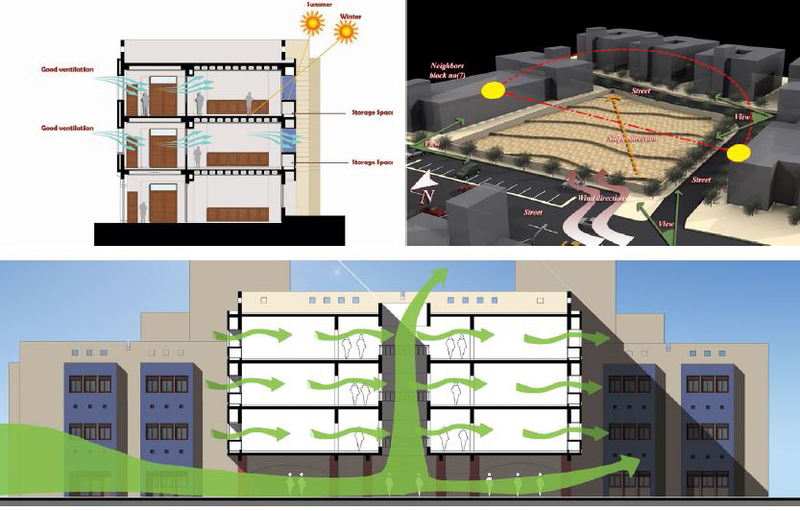 The open atrium together with the raised floor above ground level produced a suction effect to get the hot air out of the building, which allows cold air streams to pass throw the building and to ventilate the shaded areas. 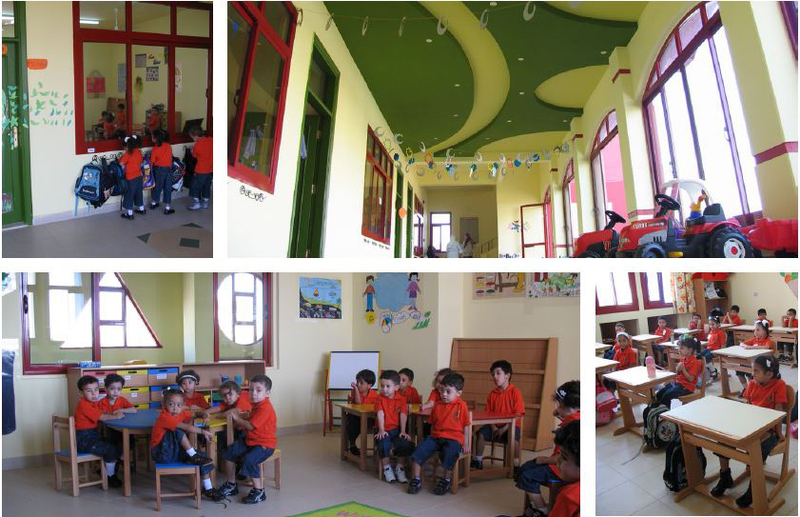 Educational spaces were clearly organized in wings of classrooms around a central building, which gathered all administration and common supplementary spaces such like school library, laboratories, theatre and activities. 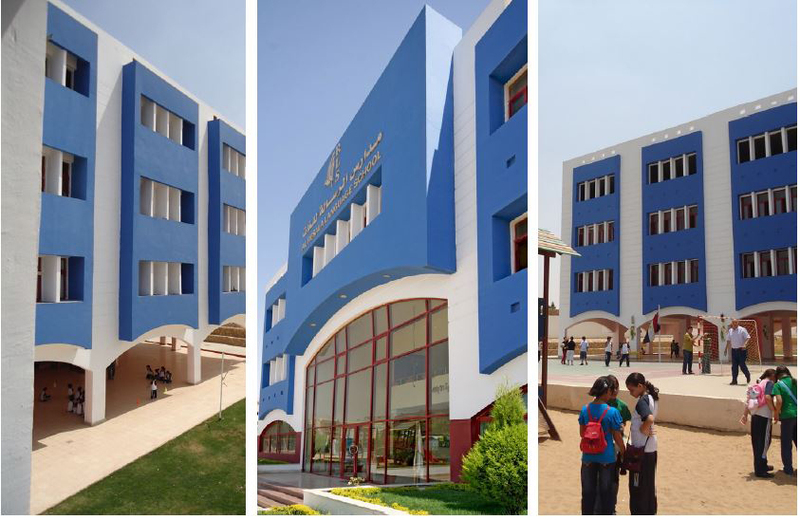 By using sun breakers elements the glare effect had been reduced, resulting in a more function and sustainable building.